Does the new Canon EOS R have a new sensor or does it use the same sensor as the EOS 5D IV? On the other hand, the Canon website says that the R sensor is “dual pixel CMOS AF with 5,655 manually selectable AF points” whereas the 5D IV sensor has only 61 AF points. However, the Canon website does not appear to claim that the R sensor is “new”. Recently, the Imaging Resource website posted the results of a Q&A session with Canon engineers and noted that, uniquely, “every pixel on the sensor can simultaneously be used for phase-detect focus determination and to create the image.” This makes me think that the sensor is “new” or, at least, not identical to the 5D IV sensor. So, is the EOS R sensor “new” or not? I’m not sure if it is the same sensor or not but you are mixing two AF systems here. So, those 61 AF points in the 5D are not on the sensor AF points like any mirrorless... that it is a special sensor mounted usually at 90 degrees of the main sensor or film of the SLR system... the mirror that reflects the light to the OVF has an small traslucid area that sends part of the light to a second mirror that gets to the AF sensor. The main sensor is covered by the shutter so it does not get any light and can not help to the AF system. When you use a 5D Mark IV in Liveview mode, then this 61 point AF sensor it can not get light, since the mirror is up. At that point is when the dual pixel AF system on the sensor is used. Not sure how many AF points it has... if it is the same sensor Canon could use at that point the same amount of AF points as in the R system... not sure if Canon publish that specs for the 5D. Canon EOS R Sensor = 5D Mk 4 sensor? With Canon's Dual Pixel CMOS AF, a huge difference is EVERY pixel on the sensor can provide AF information, and then be capable of capturing actual image data an instant later. Figuratively speaking, instead of hundreds of potential "focus points," DPAF is a system with millions of focus detection points. So that 5,655 is just the AF points that can be manually selected; something that could be increased in a new model with faster processing ability even using the same sensor. Also, note that the two-year old 5D4 has what is still Canon's best all-round 36x24mm sensor; the only newer one is the 26MP sensor of the less expensive 6D2. Re: Canon EOS R Sensor = 5D Mk 4 sensor? I would guess yes, mostly on the principle of "the dog that did not bark": if it were new, Canon would have made more noise about that fact. And to add to David's comment: Canon explains at http://www.learn.usa.canon.com/resources/articles/2017/intro-to-dual-pixel-autofocus.shtml that:So that 5,655 is just the AF points that can be manually selected; something that could be increased in a new model with faster processing ability even using the same sensor. And that one is also a dog that did not bark in terms of DR .
Kevin was actually in error about the "four year old sensor". In terms of production, the 5D Mark IV has only been around for 2-years. Yes, you may argue that it might have been developed 4 years ago -- maybe true. But other companies have similar lead and development times. From an article I read (can't remember where), an engineer said the chip has been tweaked. Sony does this as well, rather than reinvent the wheel every time. I know Sony fanboys go on about the dynamic range of the Sony sensors (I have a good friend who switched from Canon to Sony and that is often something he will say), but I have never run into dynamic range issue on my shoots -- and I shoot multi-terrabytes of images a year (most shoots I do are an average of 500-700GB). Of course, I'm doing commercial shoots where I'm controlling light/contrast. But even my personal landscapes I haven't had issues and if I think I will, I bracket and use HDR. My main point being, the 5D4 chip is quite good in the scheme of things and no one ever said this camera was to be the top of the line. I don't consider myself a Sony fanboy... I switched some years ago from the Canon 5D Mark II to the Sony A7 II and now A7r II, and yes, in my sunrise and sunset scenes you really love that DR, the ability in just one shot (it is not always possible) to have the dynamic range of the whole scene and then open the shadows in LR while developing it. I have never tried the 5D Mark IV sensor that has a much better DR than the 5D Mark II one, it was nearly 4000€ in Spain when I switched to the A7 II for just 1400€ (I don't care about AF)... but those clean shadows thanks to bigger DR of the sensor and its ISOLess nature is something to love... since I have these cameras I can count with my fingers the times I do HDR in Lightroom (I do bracketing in the field... but then with just 1 RAW file I get what I was looking for, it was a complete different story with the 5D Mark II). Basically, what I want to say... because in a studio you don't find it necessary that does not cover 100% of the cases and in sunrises and sunsets or images with the sun on it... you really want that DR with that clean shadows. I should have used a "smiley" for Sony fanboy. I was partially in jest. Almost everyone I have ever known is "protective" of their brand -- me included. There was a period of a few minutes I almost switched to Sony (I liked the a900) and I was tired of waiting for Canon to produce a higher res camera. Fortunately (for me) the 5Ds was introduced. Yes, it doesn't have the DR of a Sony, nor necessarily the high ISO (I rarely shoot above 400-500 ISO), but I love working with the files -- more so that some a7R II files a friend gave me. 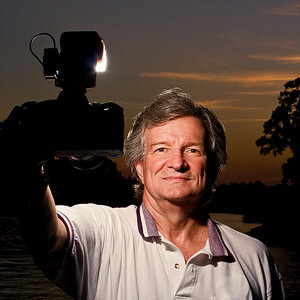 He shot a portrait (of me) with both cameras (fairly contrasty lighting in RAW). I preferred the color and feel from the 5Ds that his Sony. We still rib each other frequently. Always good-naturedly. With the cost different between the Sony and the Canon in Spain, I probably would have gone Sony as well! But I have too much of an investment in Canon L glass (7 lenses), along with a couple of Sigma Art lenses. It has to be a new sensor. The 5D4 does not have dual pixel AF, whereas the EOS R does. Dual pixel AF isn't something you can just stick onto the front of the sensor, like you can with Sony/Nikon PDAF. The split photosites actually need to be built into the sensor to begin with. So, either it's a new sensor or the 5D4's live view and video functionality was intentionally crippled. Does anyone have any idea how the Canon splot pixels are oriented? Canon has never made any mention of cross-type AF points in relation to dual pixel AF. But, when you select an AF point, you aren't just selecting one pixel - you're selecting a whole group of them, acting together. If the pixels comprise a mix of horizontal, vertical and even diagonal split pixels, this would functionally give you cross-type points, able to function at lower light levels than a single quad pixel, without any individual pixel actually being split into more than two photosites. But I'm not sure that Canon has said anything with regards to this.